If you can answer yes to the following questions you'll want to get your hands on the Understanding Outsourcing Crash Course Package! 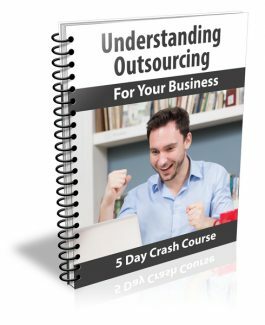 The "Understanding Outsourcing" course was specifically designed to show even absolute beginners how they can use outsourcing to grow their business . Even if your readers don't have clue how outsourcing works they will be able to quickly put the information in these lessons to good use! The "Understanding Outsourcing" package contains everything you need to start using it right away!